Every child knows how the story ends. The wicked pirate captain is flung overboard, caught in the jaws of the monster crocodile who drags him down to a watery grave. But it was not yet my time to die. It s my fate to be trapped here forever, in a nightmare of childhood fancy, with that infernal, eternal boy. Meet Captain James Benjamin Hook, a witty, educated Restoration-era privateer cursed to play villain to a pack of malicious little boys in a pointless war that never ends. But everything changes when Stella Parrish, a forbidden grown woman, dreams her way to the Neverland in defiance of Pan s rules. From the glamour of the Fairy Revels to the secret ceremonies of the First Tribes to the mysterious underwater temple beneath the Mermaid Lagoon, the magical forces of the Neverland open up for Stella as they never have for Hook. And in the pirate captain himself, she begins to see someone far more complex than the storybook villain. With Stella s knowledge of folk and fairy tales, she might be Hook s last chance for redemption and release if they can break his curse before Pan and his warrior boys hunt her down and drag Hook back to their never-ending game. Alias Hook took my by surprise. I love Peter Pan, but I’ve never had much of a desire to get to know Hook better because he seemed fairly cut and dry. Crazy pirate who battles a kid, kidnaps Wendy, and fears a ticking Crocodile. 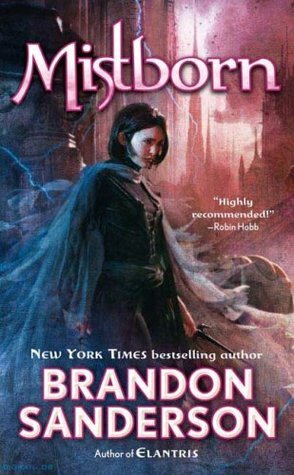 However my curiosity piqued when I decided to try out my library digital library and found the audio book, Kimba’s review over at the Caffeinated Reader sprung to mind and I downloaded it. I couldn’t be happier I took the chance because this is now on my favorites shelf. 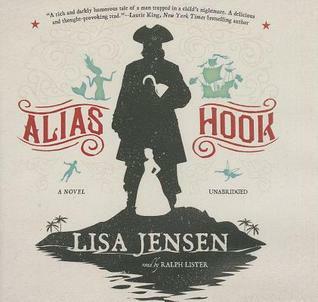 Alias Hook takes us in Neverland and shows us a side of it as we’ve never seen before. The land of eternal childhood and whimsy is far from being the innocent place we dream it to be, and the reality of the place is rather haunting. I don’t want to say too much because some of it is better if you go into it blind, part of the fun is in the revelations. We get to see Captain James Hook in a new light. We know his past and how he came to be in Neverland, and why he stays. I loved all of the background story and seeing how Hook changes as a person the longer he stays in Neverland. We are even treated to a nice touch of romance that really tugged at my heartstrings and made the story even even better. I adore James and his new companion Stella. James is well spoken and well mannered, but retains the ability to charm and manipulate his way out of trouble. He’s quick witted and a bit tortured. Combined him with Stella’s sharp tongue and brilliant mind, and you have two main characters worth falling in love with. I simply couldn’t get enough of James, and was sad when the book finally came to a satisfying end. Ralph Lister is an excellent narrator and really brought James and the other characters to life. I loved the voices he chose for James and Peter, and combined with the excellent writing it made for a really absorbing listen. If you enjoy Peter Pan and retellings then this one is worth checking out. The summary says that it’s great for fans of Gregory Maguire and I wholehearted agree. It has a similar feel to books like Wicked and Mirror, Mirror…though the writing is much easy to get lost in. Image | This entry was posted in Book Reviews (2015) and tagged 5 stars, audiobook, fantasy, historical, review. Bookmark the permalink. Ooh I am so glad that you ended up thoroughly enjoying this one! My co-blogger read it almost a year ago and I remember that she really liked it too. I haven’t read a Peter Pan retelling before, so i think I’ll pick this one up! That’s great you found yourself loving this one. Glad you took a chance! Sweet. .I am so glad you loved this. It was a clever tale.